Jake Rawlings was broken. One senseless killing and the loss of his wife left him without an anchor. Guilt and bitterness pushed him to turn in his badge. 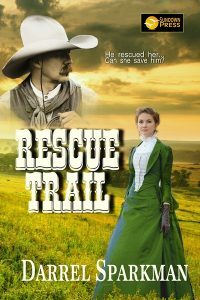 When he decides to follow the trail of a lone woman on the prairie, he’s led to a feisty widow and her daughter fighting for their lives. Saving them was easy. Can he save himself?